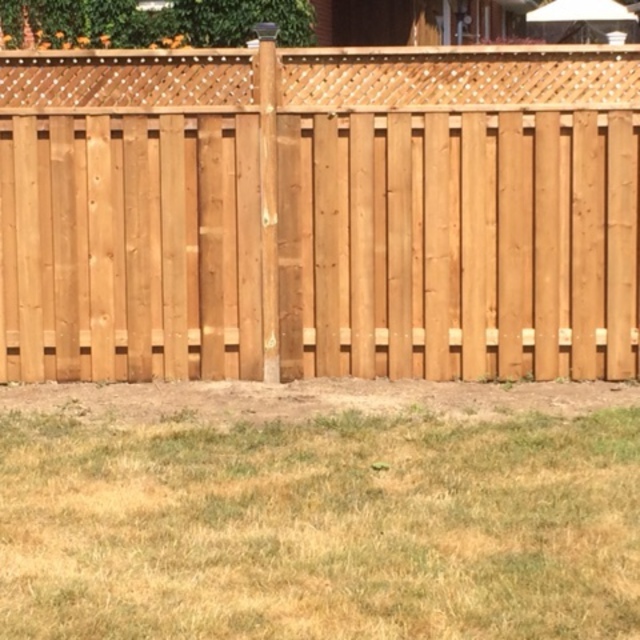 We had our corner lot fenced and went with Ajax Fence because of the reviews and a personal reference. We were not disappointed. 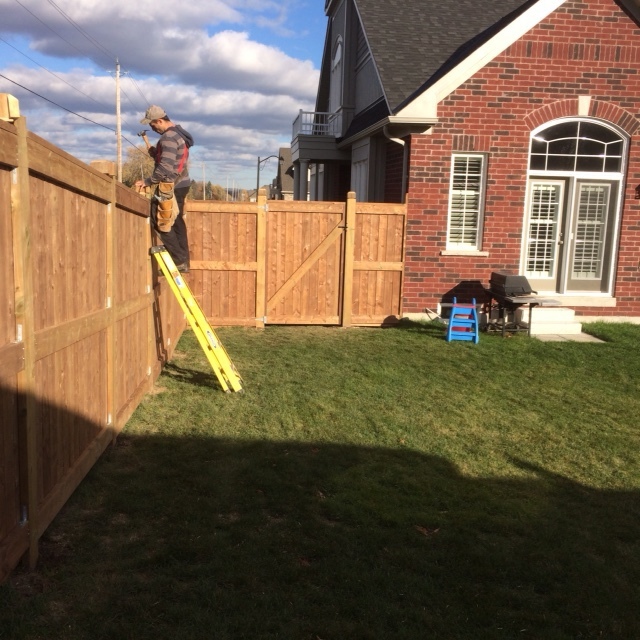 The work was neat, the fence is very strong and was installed in a short period of time. We enjoyed working with you. Thanks for the opportunity! Mark and his crew are very professional and do amazing work at reasonable prices. 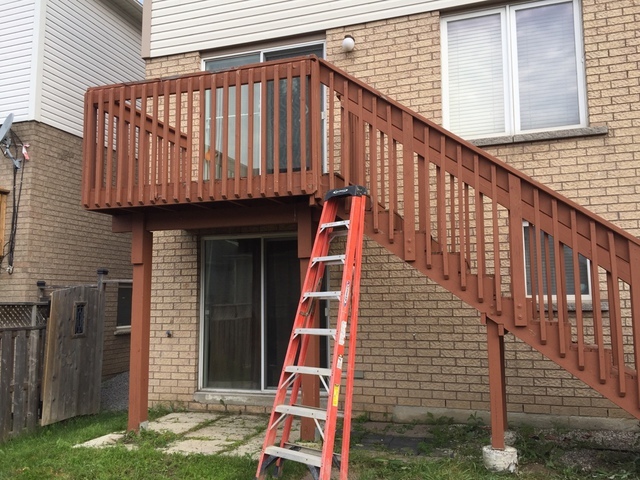 If you need a deck or stairs for the deck or stairs moved like we needed, you should call Mark! Thank you, Gary!!! It was a pleasure working with you. Mark and his crew did a great job. Good communication from start to finish. Honest and hardworking. Very happy with the results. Thank you so much! We enjoyed working with you, too. 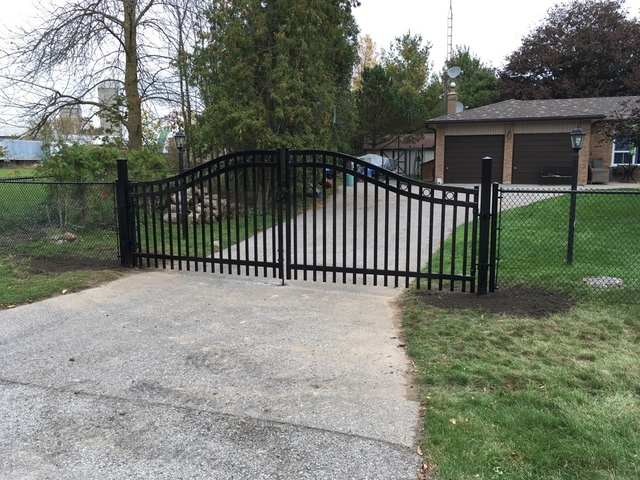 Iron fence and new wood gate. Ajax Fence is the best around. These guys are reliable, honest and do some amazing work. They showed up when they said they would and exceeded my expectations on our project. Thank you, Chris!!! It was a pleasure working with you!!! So happy you're pleased with the work. A very good clean job was done, it was completed within the promised time, their pricing was reasonable. There were delays in starting the job and lack of keeping us informed of an accurate start date. Thank you for your response. We apologize for the delays. The amount and frequency of rain this year (unlike any other) has wreaked havoc on job scheduling. Thank you again for your business! We hope you're enjoying your new deck. Fence as shown in attached photo running from the house to the road with two 42 inch gates and one 8 foot gate. The work was completed when promised and done so in a very profession manner. The crew left the work site very tidy. Thank you, Kurt! It was a pleasure working for you both. Thank you again for your business. Excellent quality, work done on schedule, on time.........they are very reliable, good to deal with, and work quickly. Pricing very reasonable. Thank you, Lorne!!! We appreciate the opportunity we had to work with you. Mark and his crew were amazing to work with! Mark understood what we wanted, was professional, provided a competitive quote, was punctual, and with all the rain kept great communication for the start date. The finished exactly when they said they would and it could not have went smoother. Thanks Mark and Ajax Fence! Thanks, Gary!!! We were glad to help with your project. Your business is much appreciated! Great work. And good clean up. Very professional. I would highly recommend. You cant go wrong with these guys. Thank you, Janis! We enjoyed working with you! 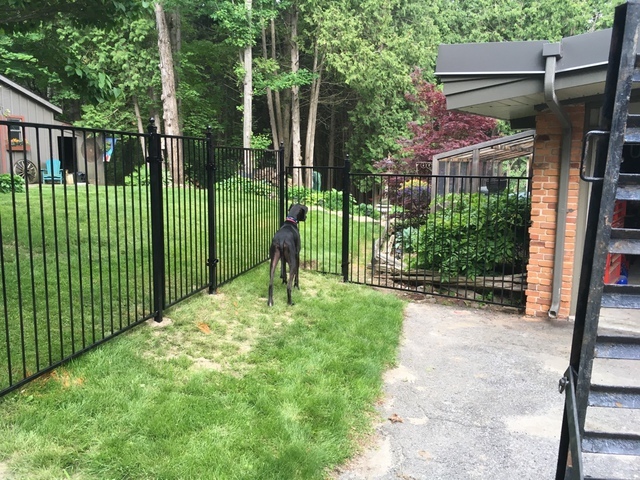 Properly installed fencing creates safety for your children, safety for your pets. 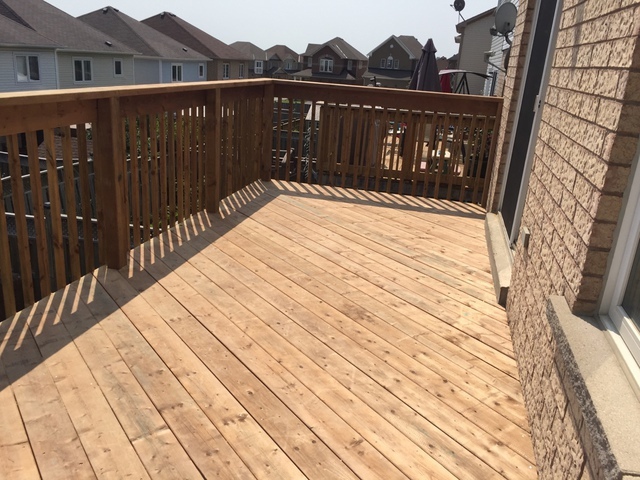 Properly installed decking creates beautiful and functional outdoor living space for you to enjoy with family and friends. 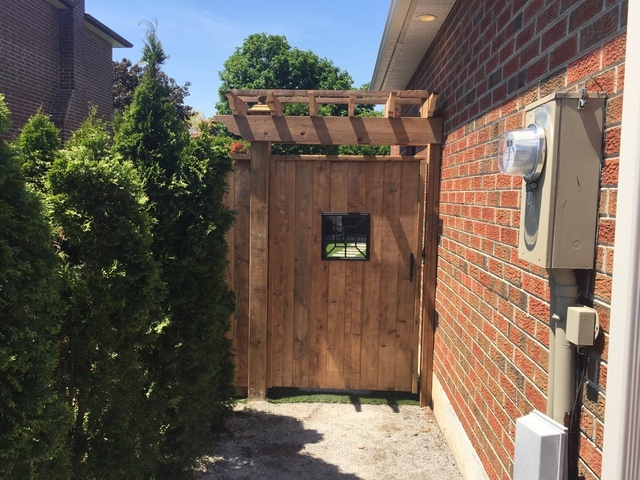 Why work with Ajax Fence Ltd? We offer quality work at a fair price. A fence is an investment in your home’s value, so you want it to stand the test of time. We can provide references from customers we've worked with over the past 40 years. We build to last. Our workmanship is excellent, so you’re never left chasing after a company for repairs. We never overinflate our prices – we have been building fences right for over 40 years, at a fair price. We hire only experienced full time staff. 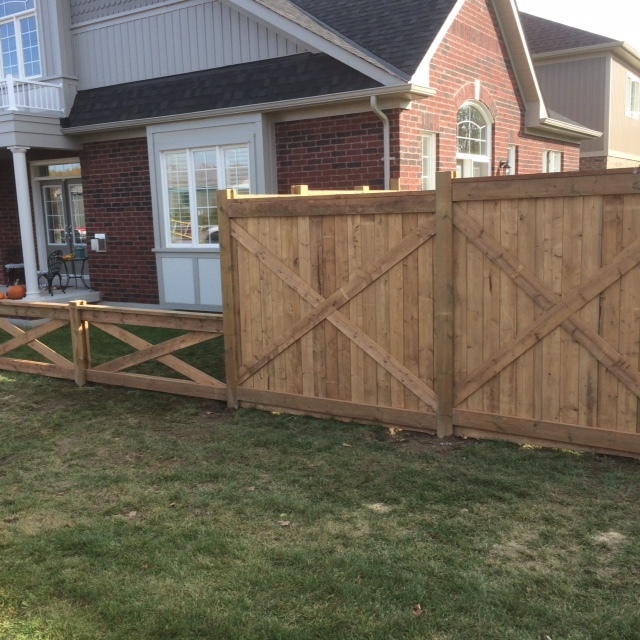 At Ajax Fence our staff are fully experienced... some have been building fences right for close to 40 years! Employing only experienced fence builders ensures every fence is built to our exacting standards – and will last. We only use quality materials, and do not skimp. While some companies may offer lower prices, our jobs are priced fairly while providing proper construction using quality materials. 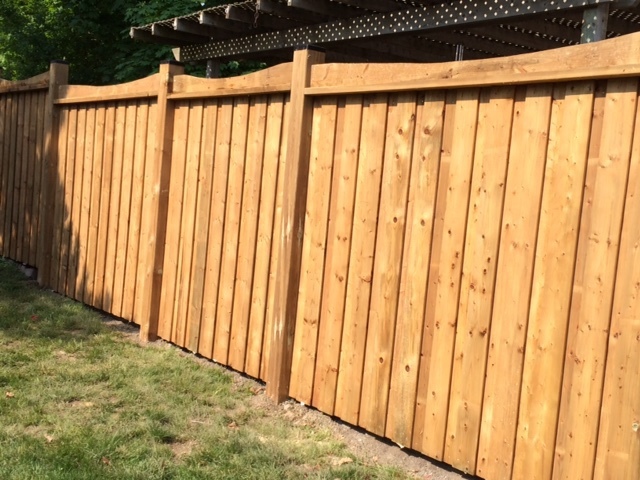 A fence board can be installed using only one nail, or it can be done correctly to ensure it lasts. We have history and connection. Mark Pierson started Ajax Fence and oversees every quote, every job site and is often hands on. We're excited that the next generation, Derek Pierson, is now taking an active role in the operation of the company. You know who you’re working with, who is in charge of the job, and you know it will be installed correctly. As there is no governing body for fence building – be clear of the details on any quotes you receive. Is the installer experienced? Does the company qualify for a current WSIB clearance certificate? Does the company carry adequate commercial liability insurance? Are future repair costs going to outweigh your initial savings on a lower quality of workmanship and product? 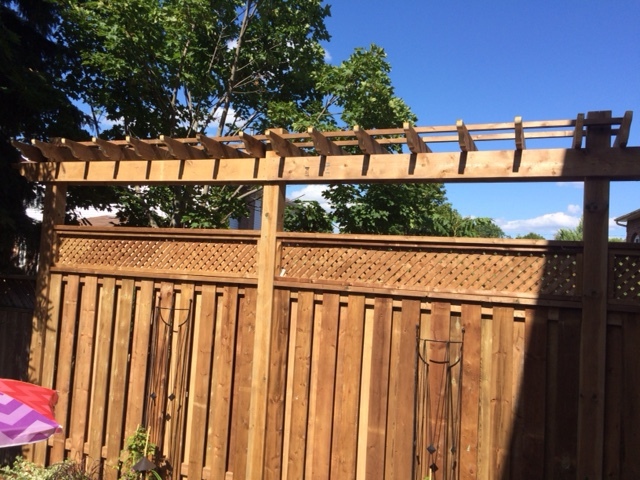 Call or email now for QUALITY fence and deck installation.